President Donald Trump is finally expected to go to California. The president, who has rarely crossed the Mississippi River during his first 13 months in office, is scheduled to visit San Diego in mid-March to see prototypes for a potential border wall and learn more about the construction, according to administration officials involved in the planning. He will also visit Los Angeles to attend a Republican National Committee fundraiser, these people said, one of a number of fundraisers he is expected to headline in the next two months. The president's trip to California has been floated several times and later scuttled. Trump prefers to sleep in his own bed at night, and some of his aides have been leery of a trip to the border because of likely protests amid debate over the president's support for new immigration limits. Know who else acts as if they love school shootings? Liberals. The liberals you see on TV. The liberals you read on Twitter. The liberals writing columns. 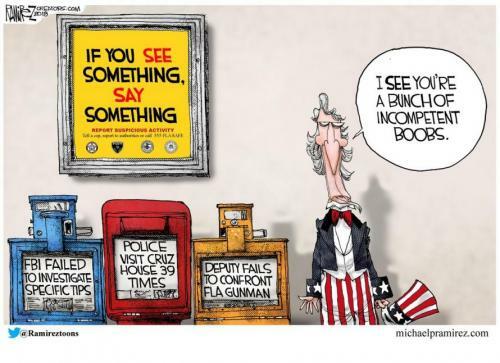 What else can you think after watching the way liberals behave after mass shootings with large body counts? It’s the same thing every time. A terrible tragedy happens. Some nutjob/terrorist/angry dirtbag shoots a lot of people. Before the blood is even dry on the ground, liberals take to social media to claim the killer is a conservative and demand new gun laws. If you suggest that perhaps we should wait to find out what happened before we start bringing politics into this, they ignore it. If you suggest that we pray for the victims, they viciously criticize that idea and mock Christians in general. When you ask which gun laws would put a stop to mass murders, they have no answer. Then they scream that the NRA is full of murderers. Of course, the killer never turns out to actually be an NRA member. Furthermore, the NRA never advocates for anything other than the rights of law-abiding citizens. As a matter of fact, when a shooter killed people in a Texas church in November of last year, it was an NRA member who stopped him. Walmart, the largest retailer in the United States, said Wednesday evening that it would stop selling guns and ammunition to anyone under 21 years of age and remove toys and airsoft rifles from its stores that resemble assault-style weapons. “Our heritage as a company has always been in serving sportsmen and hunters, and we will continue to do so in a responsible way,” the company said in a statement. House Majority Whip Steve Scalise said Thursday there is “no magic law” Congress can pass to stop the next shooting from happening. Scalise, who incurred a life-threatening gunshot wound when a gunman opened fire on a GOP baseball practice last summer, said the shooter at the high school in Parkland, Fla., had already broken multiple laws, and indicated one more law was unlikely to stop him. “If you think there’s some magic, unicorn law that’s going to stop it from happening, just keep in mind that he violated probably dozens of laws already, including murdering people. That's against the law," Scalise, R-La., told Fox News host Laura Ingraham Thursday night. 24/7 Wall Street reviewed the tax burden of residents in each state — the portion of income that goes to state and local governments’ taxes — from the report, “Facts & Figures 2017: How Does Your State Compare?” provided by tax policy research organization Tax Foundation. These tax burdens do not include the federal taxes paid by all Americans, regardless of state. In addition to federal, state, and local taxes, Americans pay taxes to other states. Out-of-state visitors pay sales taxes as tourists, investors pay capital gains taxes on investments in other states, and drivers filling up at gas stations in other states pay those states’ excise taxes. For this reason, the tax burden is not always a perfect reflection of taxes collected. DOJ Complaint: The Russians Organized A Rally Called "Trump Is NOT My President"
Late last year, when the Trump-Russia collusion narrative was peaking, something unexpected emerged: back on November 12, 2016, an event organized by BlackMatters US, a 'leftist', anti-Trump group drew thousands of people to protest against the just elected President Trump. There was just one minor glitch: BlackMattersUS emerged as a Russian-linked group. As the Hill reported, "the BlackMatters organizing group was connected to the Internet Research Agency (IRA), a Russian “troll farm” with ties to the Kremlin, according to a recent investigation by the Russian Magazine RBC. After the election of Donald Trump in or around November 2016, Defendants and their co-conspirators used false U.S. personas to organize and coordinate U.S. political rallies in support of then president-elect Trump, while simultaneously using other false U.S. personas to organize and coordinate U.S. political rallies protesting the results of the 2016 U.S. presidential election. For example, in or around November 2016, Defendants and their co-conspirators organized a rally in New York through one ORGANIZATION-controlled group designed to "show your support for President-Elect Donald Trump" held on or about November 12, 2016. At the same time,Defendants and their co-conspirators, through another ORGANIZATION-controlled group, organized a rally in New York called "Trump is NOT my President" held on or about November 12, 2016. Similarly, Defendants and their co-conspirators organized a rally entitled "Charlotte Against Trump" in Charlotte, North Carolina, held on or about November 19, 2016. Mr. Trump called for comprehensive gun control that would expand background checks, keep guns from the mentally ill, secure schools and restrict gun sales from some young adults. The move appeared to surprise giddy Democrats and stone-faced Republicans. An intense nor'easter will hammer the Northeast beginning Thursday night, lingering into the weekend with the potential for damaging winds, significant, long-lived coastal flooding, beach erosion, heavy rain and snow. The pieces of this complicated system are beginning to come together now. The same upper-level disturbance that will bring snow to the Midwest and rain to the South will spawn an intense coastal storm, or nor'easter, along the East Coast Thursday night into early Friday. Thanks to a recent split of the polar vortex and a subsequent westward-shifting blocking high-pressure system near Greenland, the weather pattern will be conducive for this nor'easter to move very slowly, resulting in high winds, coastal flooding, rain and some snow in the Northeast Thursday to Saturday. For now, there are indications in the forecast guidance this nor'easter will track closer to the coast Friday before very slowly migrating away this weekend. This will produce strong winds, coastal flooding and beach erosion, along parts of the eastern and southern New England coast, as well as in eastern Long Island, as soon as late Thursday. It’s the sort of health news most would toast with a cheeky tipple – but it may have health fanatics choking on their carrot juice. Drinking a couple of glasses of wine or beer a night – while adding a few extra pounds in weight – could be the secret to living into your 90s, a major study finds today. The research, which looked at those who had lived beyond 90, identified modest alcohol consumption as one of five key factors linked to a long life. A common antibiotic used to treat infections could be deadly for heart disease patients years after taking the drug, the FDA has warned. Clarithromycin, sold under the brand name Biaxin, is used to treat many skin, ear, sinus and lung infections. But a 10-year study revealed that people suffering from heart disease that took a two-week course of it had a significantly higher risk of heart attack or sudden death a year or more after they were treated for infection. The agency first cautioned against clarithromycin back in 2005, but its long-term study confirms that the antibiotic could do far more harm than good for patients with heart problems. They were once great buildings that stood proudly as symbols of strength. But now, having been bombarded with shells, set on fire and left to rot, these castles are looking a little worse for wear. 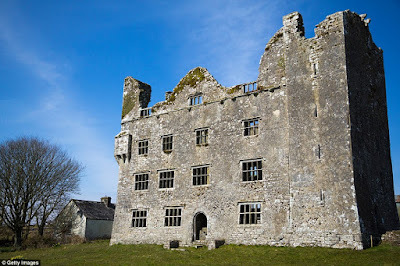 This fascinating series of photographs includes UK ruins such as Old Wardour Castle in Wiltshire, Crichton Castle in Scotland and Kinbane Castle in County Antrim. And European edifices such as Xixona Castle in Alicante and Birkenfels Castle in Alsace. They may not be looking so grand today, but they're still utterly intriguing - time-capsule buildings that offer glimpses into by-gone ages. Scroll down and behold the haunting pictures. An Allegheny County judge granted a temporary restraining order in late 2016 against Shannon Edwards, who announced Wednesday she's running for Congress, after her husband accused her of drunkenly attacking him and threatening to kill him, court records show. Edwards, 33, of Lawrenceville is a psychologist who reportedly had an affair with former Republican Rep. Tim Murphy, who resigned in October. Edwards announced her intention to campaign as a Republican for Congress on the steps of the Allegheny County Courthouse, a move that surprised GOP officials who said they weren't aware she was considering a run. Edwards' husband, Jesse Sally, an osteopathic doctor specializing in sports medicine, has been seeking a divorce in a court case that is now sealed. In a petition seeking a restraining order dated Oct. 31, 2016, Sally wrote that Edwards had arrived home about 10:30 p.m. after drinking alcohol with neighbors and grabbed his head and pushed it into a pillow. Defying threats of retaliation from the Chinese, Bloomberg reports that President Trump is pushing for a global tariff of 24% on all steel imports, a decision that will anger nearly every industrial manufacturer based in the US, while at the same time helping revive the fortunes of US steel producers. The rates were first proposed by Commerce Secretary Wilbur Ross last week. The commerce department released reports on the U.S. Department of Commerce’s investigations into the impact on our national security from imports of steel mill products and from imports of wrought and unwrought aluminum. These investigations were carried out under Section 232 of the Trade Expansion Act of 1962, as amended. All classified and business confidential information in the reports was redacted before the release. Klein told Fox News’ Laura Ingraham it seemed CNN officials exploited the victims of the recent school shooting in Parkland, Florida to press a decidedly anti-gun agenda, substantiating allegations by others the network staked its recent town hall with gun-control advocates and ignored other opinions. 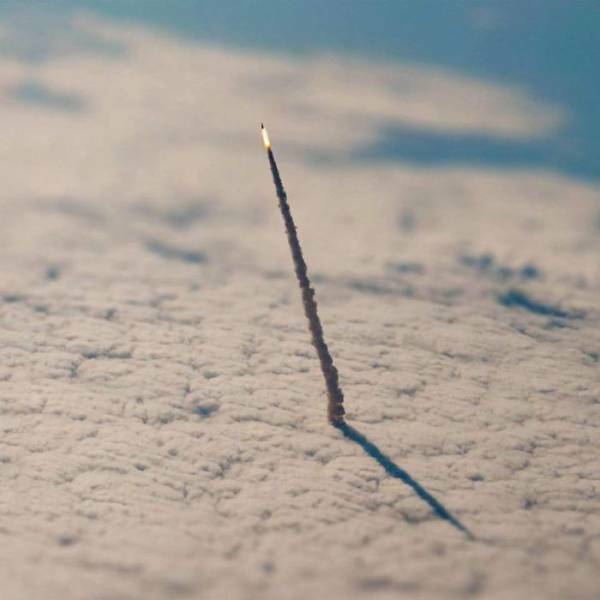 This Is A Photo NASA Took Of A Space Shuttle Leaving Our Atmosphere. Q anon- 2/23/18 "...Was Set Up"
Cicilline’s bill describes an “semiautomatic assault weapon” as a firearm with a “detachable magazine” and a “pistol grip,” “forward grip,” “folding stock,” “rocket launcher,” or “threaded barrel.” The list includes pistols made by CZ, Daniel Defense, America Spirit, Heckler and Koch, Centurion, and DPMS, among others. 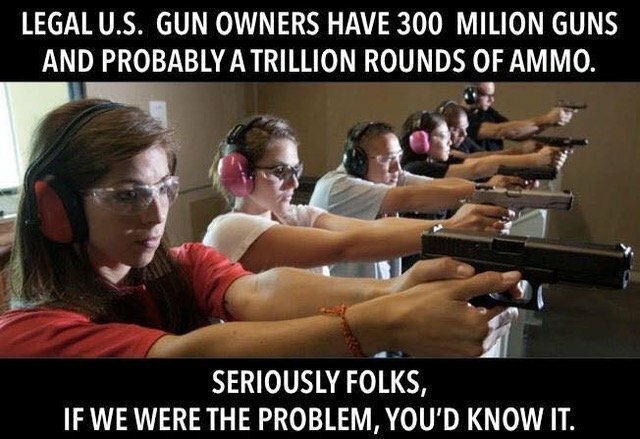 It includes rifles made by Kel-Tec, Springfield Armory, Heckler and Koch, Barrett, Beretta, Stag Arms, Remington, Rock River, Mossberg, Diamond Back, Daniel Defense, Colt, Bushmaster, Armalite, and Norinco, among others. Cicilline’s bill bans “all AK types” even though the Florida gunman used an AR-15. Israel was criticized in 2014 after a political action committee supporting his re-election campaign for sheriff accepted thousands of dollars in donationsfrom a convicted felon. Despite the horror of the high school massacre in Florida, U.S. schools overall are safer today than they were in the early 1990s, and there is not an epidemic of such shootings, a new academic study is reporting. Researchers at Northeastern University say mass school shootings are extremely rare, that shootings involving students have been declining since the 1990s, and four times as many children were killed in schools in the early 1990s than today. “There is not an epidemic of school shootings,” said James Alan Fox, the Lipman Family Professor of Criminology, Law and Public Policy at Northeastern. He said more children die each year from pool drownings or bicycle accidents. There are about 55 million school children in the U.S., the study said, and over the past 25 years, about 10 students on average per year were killed by gunfire at school. White House Considering Confiscating Guns From "Dangerous People"
President Trump confirmed on Friday that he would support stricter firearms regulations, including a proposal to strengthen the federal background check system and raising the minimum age for buying a semi-automatic weapon to 21 - something the powerful National Rifle Association has said it opposes. 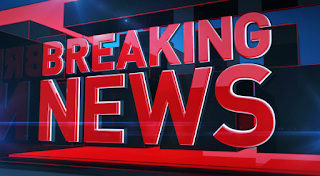 But, as Bloomberg reports, The White House is considering the idea of using restraining orders to take firearms away from people considered "dangerous" as part of its response to last week’s massacre at a Florida high school, two people familiar with the matter said. Under extreme risk protection orders, which are also known as red flag laws or gun violence restraining orders,firearms can be confiscated from people found to be at risk. 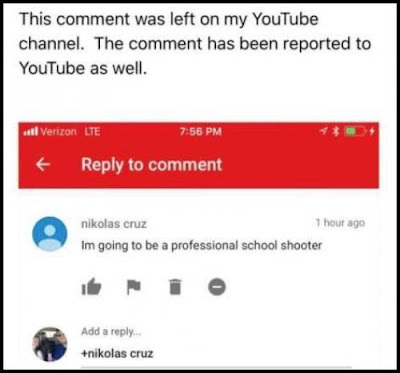 As we dig further into the monumental breakdown in protocol between the FBI and Florida officials which could have prevented 17 deaths in the Valentines Day massacre at Stoneman Douglas High School in Parkland, Florida - Senator Chuck Grassley (R-IA) revealed on Friday that the FBI never contacted Google - which owns YouTube, after it was reported that suspect Nikolas Cruz, under his own name, said "I'm going to be a professional school shooter" in a YouTube video comment last September. When the uploader of the video, Ben Bennight, contacted the FBI shortly after Cruz left the comment, officials spoke with him for 20 minutes, after which there was no follow up until the same agent or agents came to his home on Wednesday. In a press conference late last week, Special Agent Robert Lansky who is in charge of the Miami FBI division said that the FBI received the tip, however they were "unable to further identify" the person who made the comment, despite conducting "database reviews" and "checks." "No other information was included with that comment, which would indicate a time, location or the true identity of the person who made the comment," Lasky said. "The FBI conducted database reviews, checks, but was unable to further identify the person who actually made the comment." Former Virginia Governor Terry McAuliffe and former Democratic presidential candidate Hillary Clinton's brother Anthony Rodham are facing a $17 million fraud lawsuit from Chinese investors in Greentech Automotive, an electric car company that appears to be struggling to survive. The Chinese investors plowed their money into Greentech with the promise of winning permanent residency in the U.S. under a program that awards green cards to foreign-funded ventures that generate U.S. jobs. A new study published in the journal, “Nature Human Behavior,” says the richer people get, the less happy they become. The study found once a household reaches an annual income of $105,000, any more money reduces satisfaction and level of well being. Researches say the ideal income point for an individual is $95,000 for life evaluation and $60,000 to $75,000 for emotional well-being. The research is based on data collected from the Gallup World Poll, a survey of more than 1.7 million individuals from 164 countries. Populist conservative icon Pat Buchanan has declared victory within the Republican Party, saying “The Bush party has become a Trump party” on the key issues of immigration, trade, and staying out of foreign wars. During the weekly show The McLaughlin Group, Buchanan—a pioneer of the economic nationalist movement—said the war within the “conservative movement” was “over,” saying President Trump’s agenda of economic nationalism has finally beat out decades of free trade, open borders, and global interventionist dogma favored by the Republican establishment and neoconservative wing of the party. Speaking to The Daily Signal moments after a Democrat memo was releasedSaturday, Rep. Devin Nunes, R-Calif., said the long-awaited document is so shocking because of what it reveals about the Obama administration, Hillary Clinton’s presidential campaign, and Democrat operatives. The electric car company founded by former Gov. Terry McAuliffe filed for Chapter 11 bankruptcy this week, blaming in part a wave of negative coverage by a conservative news website for its financial woes. GreenTech Automotive’s bankruptcy petition cites 76 articles by the website Watchdog.org it says “negatively affected governmental, investor and public perception of GreenTech” and prompted investigations by the Securities and Exchange Commission and the Department of Homeland Security. 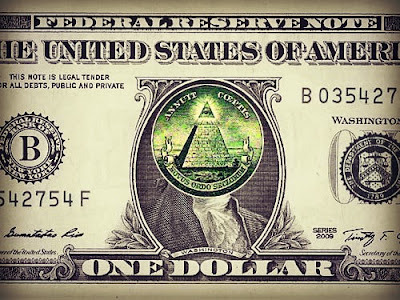 GreenTech in 2013 sued Watchdog.org, operated by the Franklin Center for Government and Public Integrity, for $85 million. A judge dismissed the case in 2014. McAuliffe resigned from GreenTech in late 2012 during his run for governor. Early in the campaign, he featured the company prominently, pitching himself as a forward-thinking entrepreneur. More recently, however, the company has faced a series of lawsuits filed by investors in the company, who have called GreenTech a “scam perpetrated by savvy and politically connected operatives and businessmen” to exploit Chinese immigrants hoping to come to America. The bankruptcy filing cites a $7.5 million judgment won by 12 investors and says other suits are pending. According to its bankruptcy filing, GreenTech raised $141.5 million from investors between 2009 and 2013 as part of the EB-5 visa program, which offered immigrant investors permanent residency. Inspired by Singapore's policy of executing drug traffickers, President Trump is said to relish the idea of putting major dealers to death - who he is said to compare to serial killers, Axios reports. "He says that a lot," said a source who's spoken to Trump at length about the subject. "He says, 'When I ask the prime minister of Singapore do they have a drug problem [the prime minister replies,] 'No. Death penalty'." According to five sources who have spoken with Trump on the subject, it's no joke to the President - who says that a softer approach to drug reform where you show sympathy to the offenders "will never work." 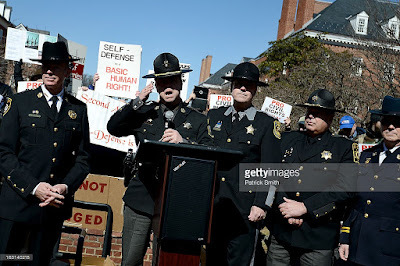 While the position of sheriff is not found in the U.S. Constitution, it is listed in state constitutions: Article XIV of Colorado’s, Article XV of Delaware’s, Part VII of Maryland’s and Article XIII of New York’s. Nearly all of America’s 3,080 sheriffs are elected to their positions, whereas most state and city police top commanders are appointed. 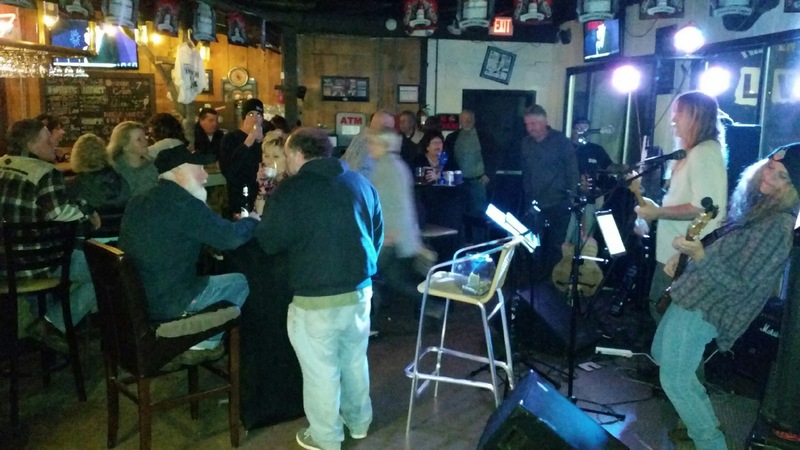 Come see local musicians jam Wednesday night at Trader Lee's in west Ocean City. 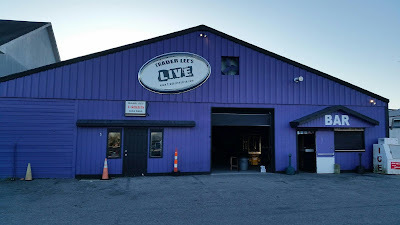 What makes this week special is we're locating everything to the big stage because Trader Lee's just installed radiant heat to the big bar. Bigger stage, bigger sound and a whole lot more room. The festivities start at 8 pm. Bring your instrument and join in on the fun. Tonight we celebrate the expansion of our new billiard room that will ultimately house 5 pool tables, the most offered in Ocean City. The new and massive radiant heating system also allows us to open up the main room throughout the winter months. On top of that the newly renovated stage and riser are complete. With the new heat we can now put ALL the Live Music on the main stage with a new lighting system to boot. If you play an instrument and would like to join dozens of other talented people tonight and share your love for Live Music, come join us for what is always a great time. Our plan is to continue doing this on Wednesday nights. Thursday Nights we'll have a House Band and as always we always deliver great acts on Saturday nights. If you like EVO Craft Beer, we serve it, (12 oz) for just $2.00 on draft. Come join us and have a blast. President Donald Trump’s focus to “tackle the difficult issue of mental health” following a mass shooting in Florida last week isn’t so far-fetched, as studies show there is a clear link between mass shootings and mental illness, author Grant Duwe and sociology professor Michael Rocque write in the Los Angeles Times. People with major mental disorders are more likely to commit violent acts, especially if drugs are involved, according to peer-reviewed research, and nearly 60 percent of the 185 public mass shootings that took place in the U.S. from 1900 through 2017 were committed by people who had “either been diagnosed with a mental disorder or demonstrated signs of serious mental illness prior to the attack,” according to research conducted by the L.A. Times. A leader of the Council on American-Islamic Relations in South Florida also serves as a deputy for the Broward County Sheriff’s office, which is under fire for its handling of the Valentine’s Day school shooting in which 17 people were killed. Nezar Hamze is the regional operations director for the Florida chapter of CAIR, whose national office was named an unindicted co-conspirator in a Hamas-funding scheme and was designated a terrorist organization by the United Arab Emirates. Maryland Meals for Achievement (MMFA), launched in 1998, is a successful state program that allows high-poverty schools to provide free Breakfast After the Bell to all students. This supports both health and learning, with a lasting positive impact on students across the state. To be eligible for MMFA funding, a school must have at least 40% of its students qualify for free or reduced-price meals. Schools must also shift the time they serve breakfast, serving it as part of the school day (like lunch) instead of before school starts. Nearly 66% of students in MMFA schools participate in the school breakfast program (compared with 27% of other Maryland public schools). Having this morning meal makes a difference; studies show that students in MMFA schools demonstrate better educational performance, improved health and a decrease in discipline problems. Every dollar of state MMFA funding leverages $5.46 in federal reimbursements. Under the current level of MMFA funding at $6.9 million, only 54% of eligible schools are able to participate. Increasing funding by $4.9 million would allow 100% of eligible schools to participate. The number of additional Maryland students who would benefit from a fully expanded implementation of MMFA. Fully expanded MMFA would benefit a total of 388,390 Maryland students. Number of schools eligible for MMFA funding in Maryland. 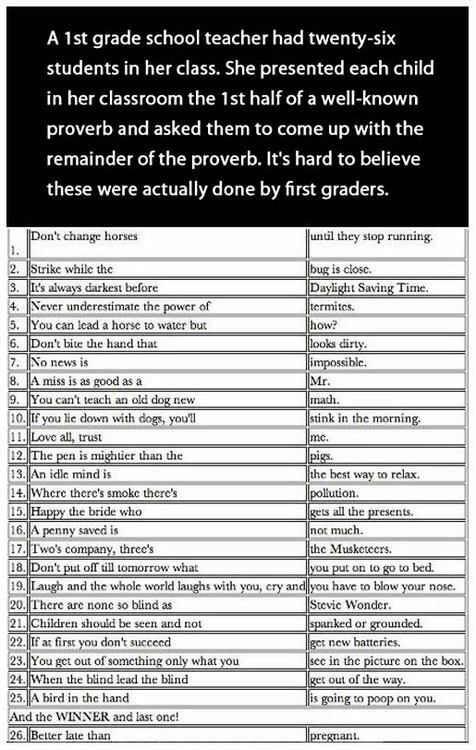 Excludes CEP schools. Number of schools able to participate in MMFA under the current funding levels. Additional amount needed in the Maryland State Department of Education's budget to reach 100% of high-poverty schools in Maryland. The retailer also said that it would no longer sell high-capacity magazines and that it would not sell any gun to anyone under 21 years of age, regardless of local laws. The announcement, made two weeks after the school shooting in Parkland, Fla., that killed 17 students and staff members, is one of the strongest stances taken by corporate America in the national gun debate. It also carries symbolic weight, coming from a prominent national gunseller. 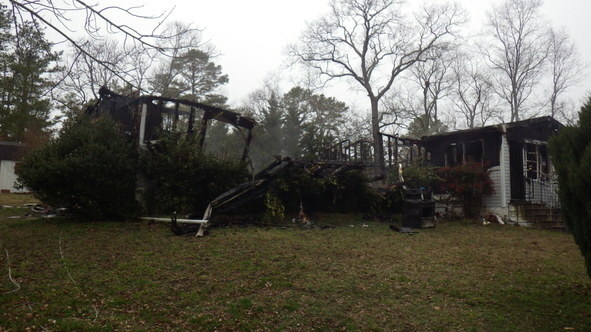 2-23-18 Wicomico Dwelling Fire Sandy Hill Rd. Location / Address: 5440 Sandy Hill Rd., Quantico, Wicomico Co. Location / Address: 714 Jefferson St., Salisbury, Wicomico Co.
Vegetarian and Mediterranean diets are equally effective, new research suggests. Cutting out meat causes people to lose around 4.2lbs (1.9kg) after three months, a study found. Whereas following a Mediterranean diet, which is rich in olive oil, vegetables and fish, leads to people shedding 3.9lbs (1.8kg), the research adds. The two diets are also thought to have comparable effects on the heart as both cause similar BMI and fat-mass changes, the research adds. These similar outcomes may be due to both vegetarian and Mediterranean ways of eating limiting people's saturated fat intakes. Study author Dr Francesco Sofi from the University of Florence and Careggi University Hospital, said: 'The take-home message of our study is that a low-calorie vegetarian diet can help patients reduce cardiovascular risk about the same as a low-calorie Mediterranean diet. The number of hate groups across the country grew in 2017 for the third year in a row, the Southern Poverty Law Center reported last week, and the legal advocacy group counted 19 in Maryland, up from 18 the year before. The Southern Poverty Law Center, based in Montgomery, Ala., counted 954 active hate groups nationwide, a 4 percent increase from 2016. Most of the growth occurred in neo-Nazi, anti-Muslim and black nationalist groups, the center said. It attributed the increase to white supremacists energized by the presidency of Donald Trump and black nationalist groups rising in response. 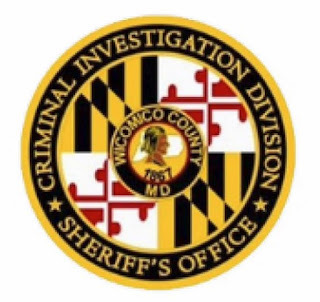 During the month of February, members of the Wicomico County Sheriff’s Office Criminal Investigation Division (CID) conducted a Controlled Dangerous Substance Investigation on the residence of 102 Bradley St, Hebron, MD 21830. 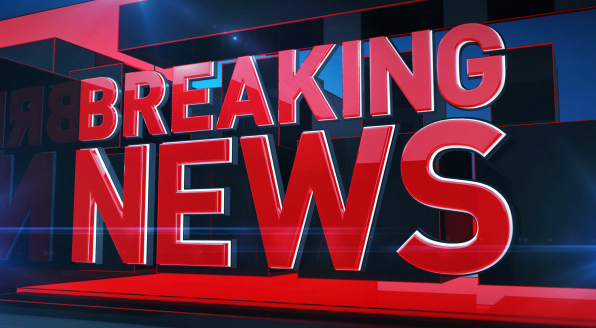 While Davis was being transported, Davis assaulted a Deputy. Davis was charged for assault and the Controlled Dangerous Substance violations and released to the Wicomico County Detention Center. The case remains open and additional charges are pending. Charges: Possession with intent to distribute marijuana, Possession of marijuana, second degree assault. As tries to become the first Republican governor of Maryland to win re-election in 64 years, Larry Hogan is maintaining his celebrated distance from Donald Trump and even questioned whether the president will seek re-election in 2020. Hogan spoke to Newsmax during a break at the National Governors Association meeting in Washington, D.C.
Reminding Hogan that he had publicly refused to endorse his party's nominee for president in 2016 and did not even vote for Trump, Newsmax asked the Free State governor whether he would support Trump for re-election? "Are you certain he's going to run for re-election?" Hogan shot back with a wink. Hogan, 61, then pointed out he and the president "have always had good relations" since the election and that Vice President Mike Pence served with him on the NGA while governor of Indiana "and is a longtime friend." "So when I disagree with the administration, I won't be out protesting," said the governor, underscoring that his disagreements with the administration are often lodged quietly or privately.